In an effort to try to protect bats from White-nose Syndrome, acting Regional Forester Jerome Thomas extended the emergency order to close all caves and abandoned mines in the Rocky Mountain Region of the U.S. Forest Service. The first emergency closure was in effect from July 27th, 2010 for the period of one year. On July 26th, just before the first closure was set to expire, the new order was signed that extends the order for 12 months. One problem which contributed to the complete closure is that the Forest Service does not have enough information about where bats roost and hibernate to rule out specific caves that do not call for closures. 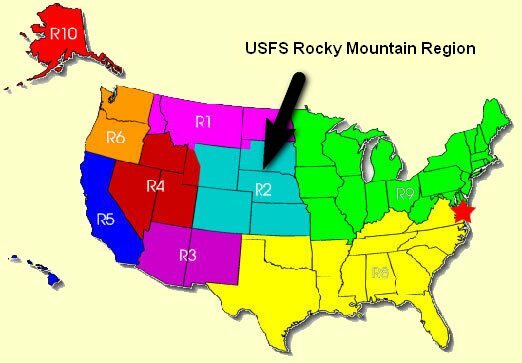 The Rocky Mountain Region of the U.S. Forest Service is made up of the National Forests and Grasslands in Colorado, Wyoming, South Dakota, Nebraska and Kansas. Due to the regions geographic location, it could play a major role in the westerly spread of white-nose syndrome.